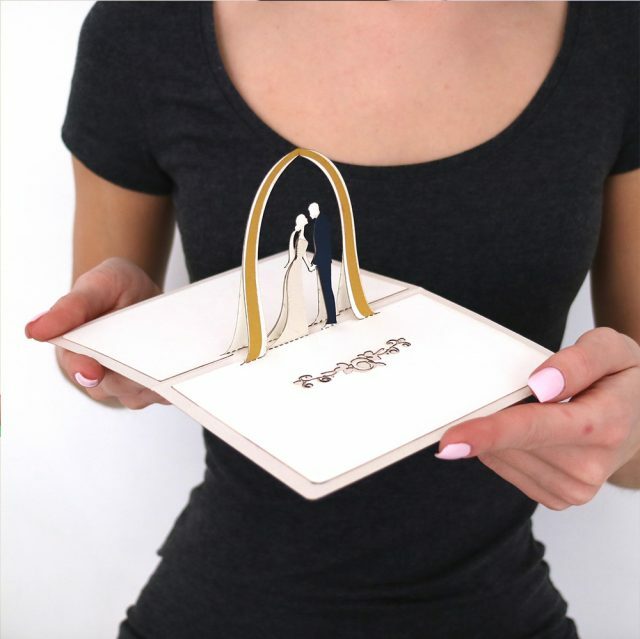 A simple yet elegant handcrafted 3D wedding invitation card with a marrying couple. This very postal is probably one of the best pop up wedding cards we have. The cover is laconic pastel white with a symbolic picture of rings. Such simplicity in embellishment brings an additional elegancy to this 3D wedding card. Open it and observe a lovely scene with happy bride and groom standing under the golden wedding arch with a desire to spend their lives together. There is also a splendid golden tracery on one side. Such greeting cards sentiments are sincere and festive as a postal is referred to celebration of one of the happiest days of their lives. It can serve as a wonderful gift or amazing invitation for the event. Besides the beauty of this wedding invitation 3D greeting card, it is an item of the highest quality, made with environment-friendly materials and exclusive paper, imported from Europe or Japan. So do not miss an opportunity to embellish your wedding with a unique and outstanding pop up invitation card! Celebration is just round the corner and you have no idea where to find high-class cards? Say.ae is exactly what you are looking for! We have the best choice of greeting cards for holidays and party invitations. A great deal of types, shapes, colors, prints and purposes! There is no doubt that you will find the postal to meet all your wishes and desires. There is an abundance of different pop up wedding cards, birthday postals, party invitations etc. While you are writing greeting cards, you may express your feelings, wishes, emotions towards people or occasion itself. Our art studio makes only unique and elegant postals, which are considered to be the best not only in Dubai or Abu Dhabi, the UAE, but all over the world. We provide our clients with safe, fast and qualitatively organized delivery in all directions and distances. Your order will be carefully packed in an envelope and poly bag, so no worries about conveyance – that is our strong point. By the way, if you want to have special card according to your own design, we completely support your idea! Use our templates, choose appropriate colors, select decoration, excogitate the inscription and send us your final pattern. We will move heaven and earth in order to fulfill the order according to your request. 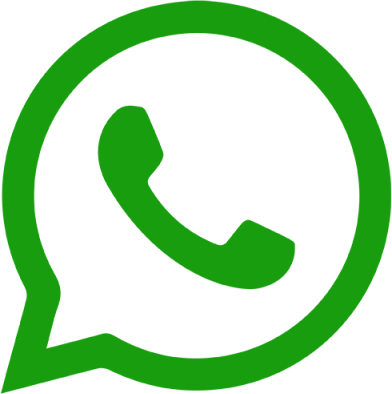 Nevertheless, if you need a wide circulation of postals, it is very essential for you to check up our wholesale offering: the more items you buy, the lower is price.